An online webinar will teach small business owners and nonprofit leaders how to choose the right online marketing mix. In Online Marketing: What’s the Right Mix for You? a free webinar from Ventureneer, participants will learn how to build a cost-effective marketing plan that targets the right people at the right time with the right media. Entrepreneurs, nonprofit leaders, and small business owners will leave the online seminar understanding how to define and reach their particular markets. Customers, clients, donors, funders, and investors are just some of the target audiences an organization needs to reach. But no one needs to spend the money to reach them all, just the ones that count. The webinar will take place Thursday, July 29, 2010, from 2pm to 3pm, and will be taught by Geri Stengel, founder of Ventureneer, and teacher of Entrepreneurship and Growing Your Business at the New School in New York City. "Effective marketing reaches the widest swath of your customers or donors," says Stengel. "To do that, you have to know who they are and how they get information." A "graduate" of the corporate world, Geri is also a mentor and teacher, who is up to date on the latest and best marketing practices, including technology and social media. At Ventureneer, Geri uses Web 2.0 technology to make networking and learning affordable, convenient, and effective, and to market Ventureneer's services. Yes, she tweets, blogs, networks on LinkedIn and Facebook, and tracks the results of each. Bottom line: Geri knows teaching, she knows business, and she knows social media so she can help you bring your marketing, development, or fundraising plan into the 21st century without numbing your mind with jargon or "computerese." Who is the audience? Which media do they use and why? What does your organization want to accomplish? Are you building awareness, credibility, traffic to the website, attracting donors or board members, recruiting clients, all of the above, or something else? Can we do it right? Online media is an emerging field. Some people can learn to do it themselves. Other people need guides to show them how to do it. Still others need to have someone help them get started. Find out what is needed and the resources available. Should we measure the effectiveness of each medium? If results aren't measured, how will the organization know if the message is hitting the mark? Learn to analyze results so online media marketing can be tweaked to maximum effectiveness. Small business owners, start-up entrepreneurs, nonprofit leaders and development directors will find the information in this webinar useful in developing effective, low-cost marketing plans. 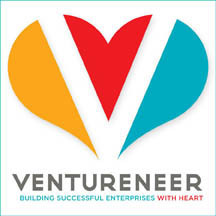 For more information or to register go to Ventureneer's website.